The 2nd Darley Event under direction of The HH Sheikh Mansoor Bin Zayed Al Nahyan Global Arabian Horse Flat Racing Festival. Houston, Texas/ USA - March 11, 2013 ~ The Board of Stewards of the Arabian Racing Cup announces the results of the 26th annual Darley Awards, held March 10th, 2013 at the JW Marriott in Houston, Texas. 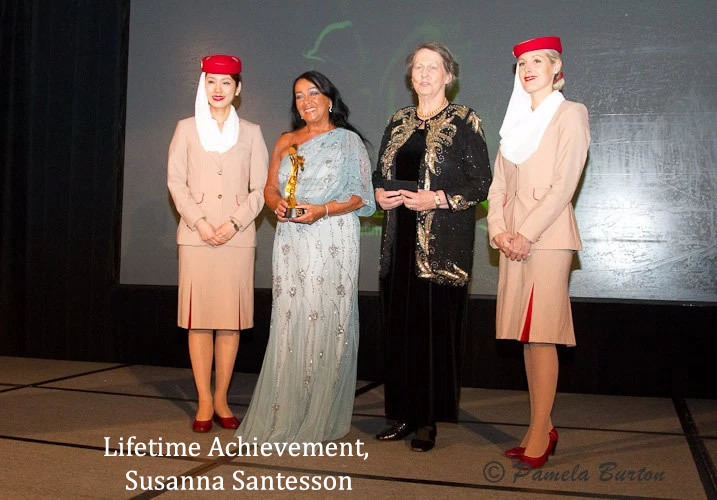 Dignitaries and guests from the USA and around the world including Arabian race enthusiasts from Canada, Belgium, Egypt, England, France, Poland, Sweden, Switzerland, The Netherlands, Qatar, Turkey, and UAE were present to enjoy and witness this prestigious event. 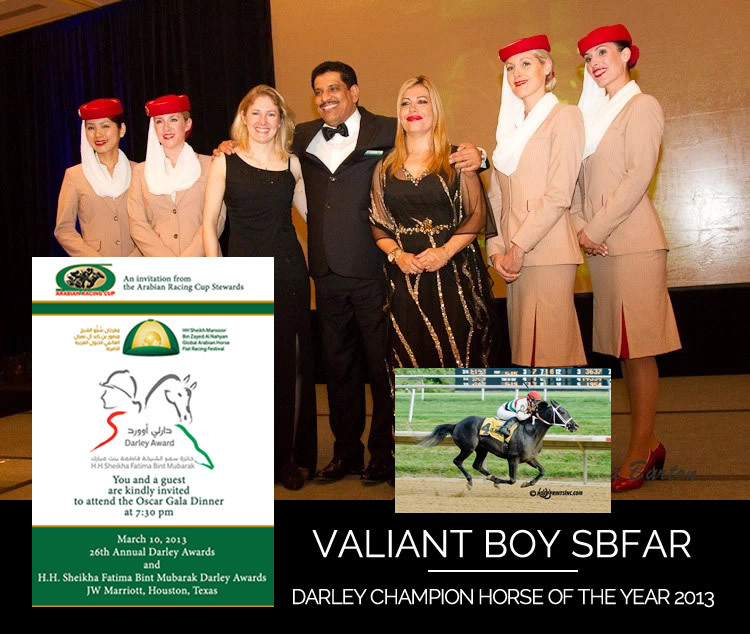 Among the highlights of the evening, VALIANT BOY SBFAR, a 4 year old stallion bred by Sheikh Tahnoon Bin Zayed Al Nahyan and owned by Guy Neivens,was crowned the 2012 Darley Champion Horse of the Year, while Sam Vasquez of Houston, Texas took home the high honor of 2012 Darley Champion Owner for the second consecutive year, and Bill Waldron received the esteemed 2012 Darley Champion Breeder title.